Found this sweet little thing on the neighbor’s porch the other day. Pretty sure she’ll lay more eggs, as Robin’s typically lay at least two. But alas my camera is now with my brother on its way to England and France, so I cannot take another picture if there are more eggs. But anyway… trying not to go through withdrawal. 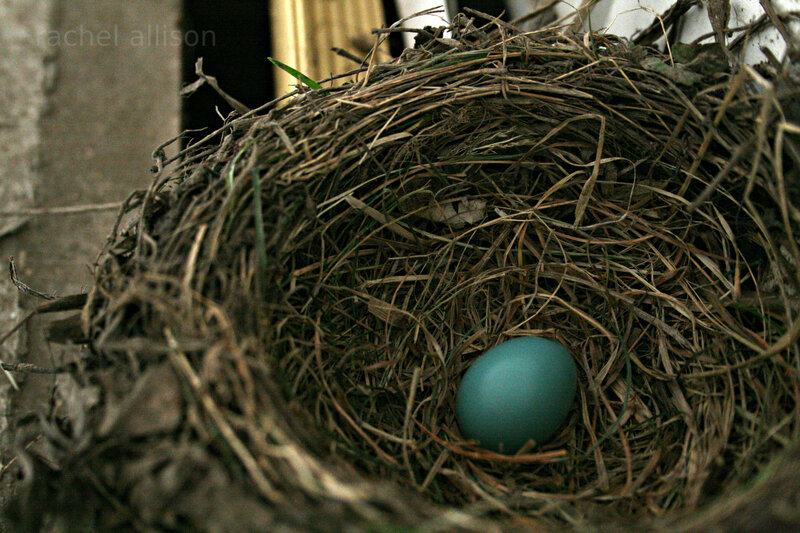 Finding a robin’s egg was one of the biggest prizes of summer you could find. Thanks, brings back memories.